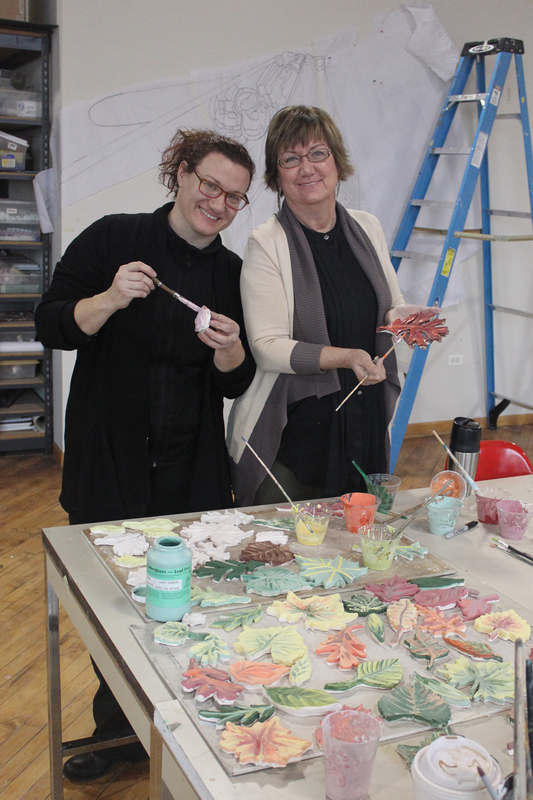 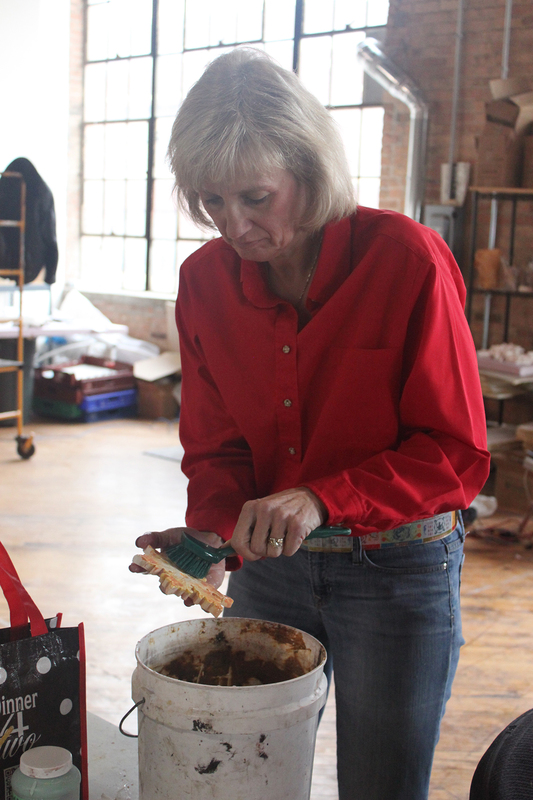 Glazing continues this week at the Chicago Public Art Group studio where we applied two coats of clear glaze to the mosaic snowflakes. 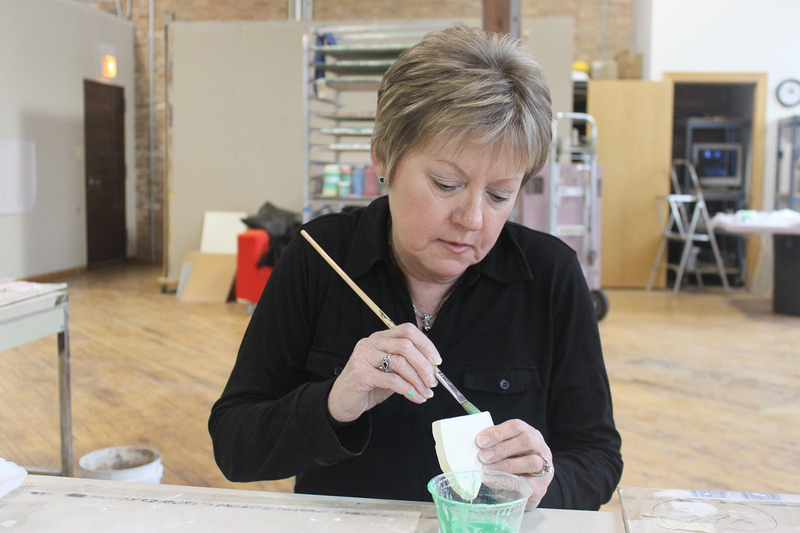 The glaze, which is green until it is fired in the kiln, will enhance color and give the tiles a smooth surface. 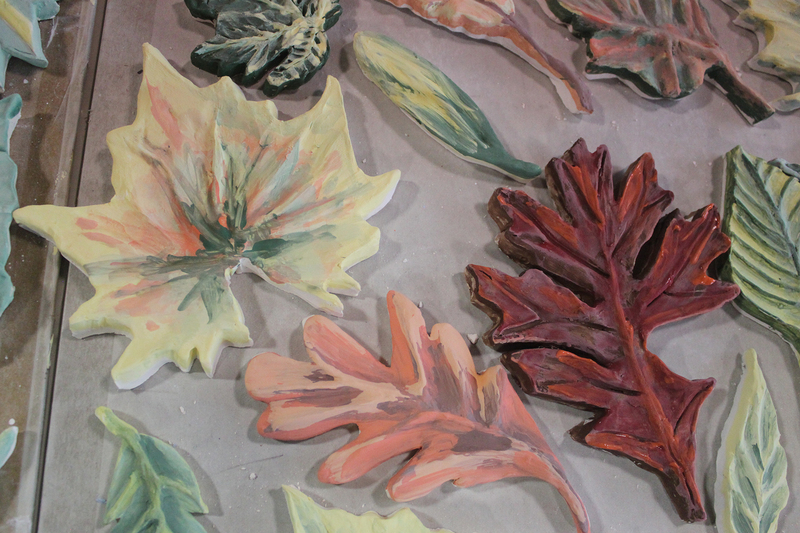 Leaves were given two coats of under-glazing in summer and fall colors. 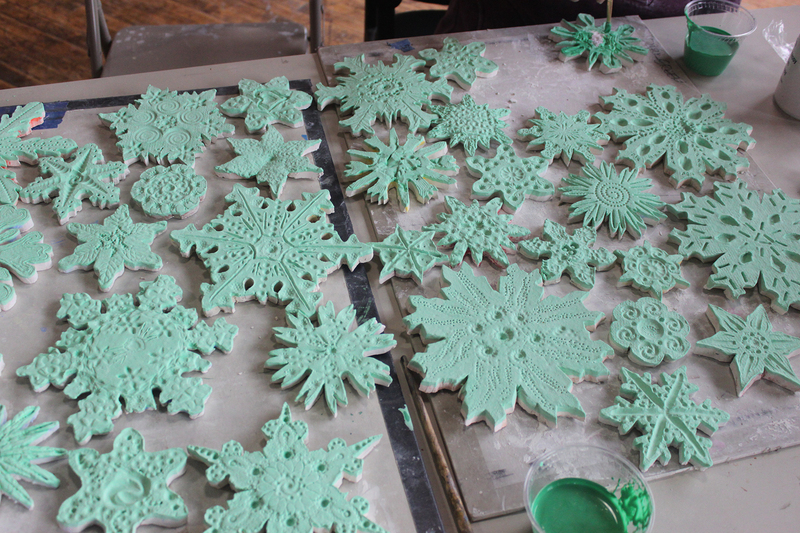 They will need a clear coat of glaze as well. 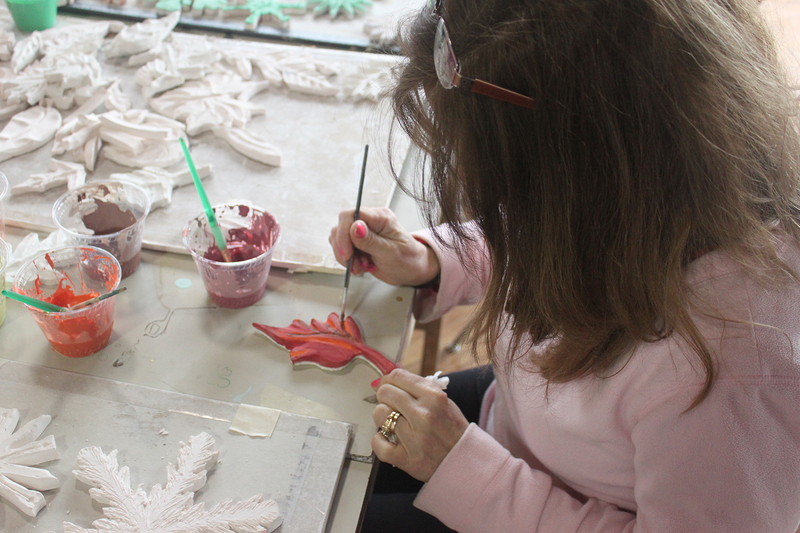 Glazing takes time, but it is not difficult and we have such fun working on the project!